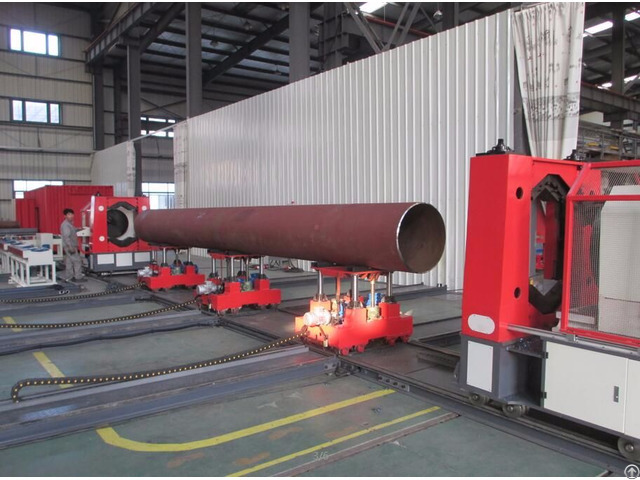 Conveying the pipe or spool pieces transversely when they are beveling or automatically welding. 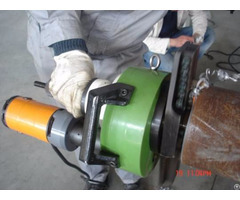 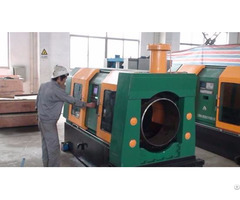 It increases the automatization level in the pipe fabricating plant and decreases the hazards during hoisting. 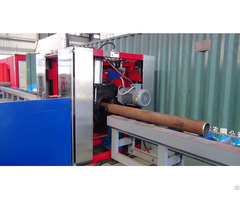 Business Description: QSPT is the leading manufacturer and the most professional & innovation ability provider of integrated / total solutions for automation piping spool prefabrication, also is the unique provider of professional Piping Plant Design Software & Intelligent Management Software System and Piping Equipments in China which included pipe spool fabrication line, cutting equipments, beveling equipments, fitting up equipments, handling equipments, welding equipments, as well as offer the commercialize piping fabrication service, training & guidence management service for automation pipe spool fabrication engineering project of Oil & Gas, Petrochemical, Petroleum, Chemical Industry, Power Plant, Offshore & Marine Engineering, Shipbuilding Industry, Aerospace, Electromechanical, Energy Engineering, Cement Plant, Boiler, Pressure Vessel, Heavy Industry, Heat Exchanger, Pipework Construction and install Fields etc.